Google Hangout is a very VALUABLE FREE tool, you can setup meetings with anybody in the world, they could be private or public! Best alternative to running webinars because it’s a free service and you can also share your screen, view up to 10 people inside and unlimited amount of people can watch it. You can share your screen, share documents, watch YouTube videos together and more! “Hangouts” are places used to facilitate group video chat (with a maximum of 10 people participating in a single Hangout at any point in time). Only Google+ users can join the “Hangout” if they happen to possess the unique URL of the Hangout. On August 18, 2011 Google added a new addition to “Hangouts” – clicking on the Share button under any YouTube video reveals an icon that suggests watching the video with friends in a Google+ hangout. 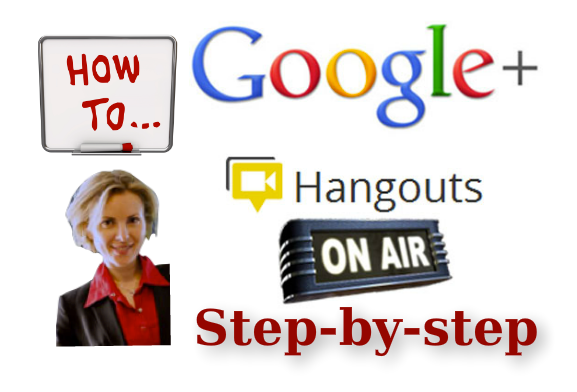 I watched your video on how to do Google Hangouts, thank you for that, it is very educational. Is it possible play a pre- recorded video presentation over the Hangout screenshare option and then possibly discuss it with attendees afterwards. I would prefer to do this so I can record a more professional presentation minus all the mistakes and forgetting vital points. I can then just broadcast that live in full. Would that work and do I just press screenshare and then play the video on my screen? wow its the very great article to learn how to do it. thanks for sharing.